A fantastic american dream scenario. 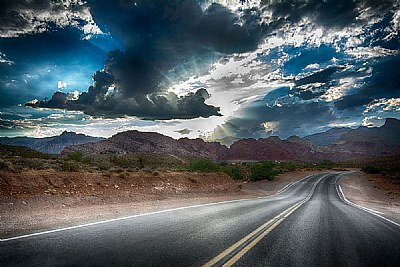 Beautiful scenic highway shot Greg. A well deserved award. congrats greg.. a very powerfully image! Wonderful capture Gregory, stoped in time, perfect perspective and mother Nature told you click now! A dream turned reality, Great. Congratulations for SC and take care. marvelous color tones and great mood, fascinating view Greg. Gongrats! Excellent capture and point of view.